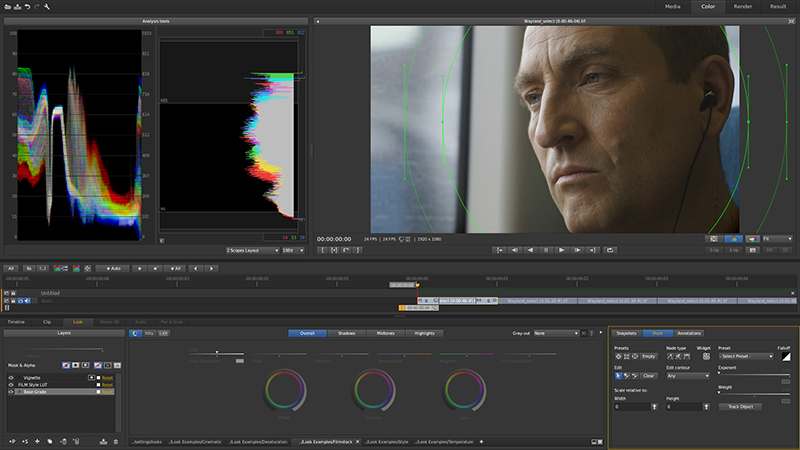 Adobe SpeedGrade CC lets you deliver balanced color and distinctive, vibrant looks for any type of video production. Grade faster with more connected tools, over a dozen powerful new features, and a redesigned interface that’s both intuitive and familiar for Adobe Premiere Pro users. SpeedGrade CC gives you access to ongoing updates as soon as they’re released, and integrates with other Adobe video tools for smooth start-to-finish video production. Your entire creative world, together in one place. SpeedGrade CC is part of Creative Cloud. That means you have access to all the latest updates and future releases the moment they’re available. Sharpen your skills and master new tools with a rich library of training videos. And with Behance integration, you can share your projects and get immediate feedback from creatives around the world. Next story Prelude CC 3.0.0 – Logging tool for various file formats. Previous story Blu-ray Player 2.10.4 – Blu-ray media player. Dreamweaver CC 2017 17.0.2.9391 – Build world-class websites and applications. Adobe Experience Design CC 0.5.16 – A new experience in user experience.